Pablo Cimadevila is a YouTube channel that shows you the making of jewellery from scratch and often out of household items. This time, Pablo Cimadevila turns two hex nuts into a 1ct diamond ring using very little machinery. Pablo says "After 20 years of crafting jewellery sometimes I need to challenge myself just for the pleasure of creating. 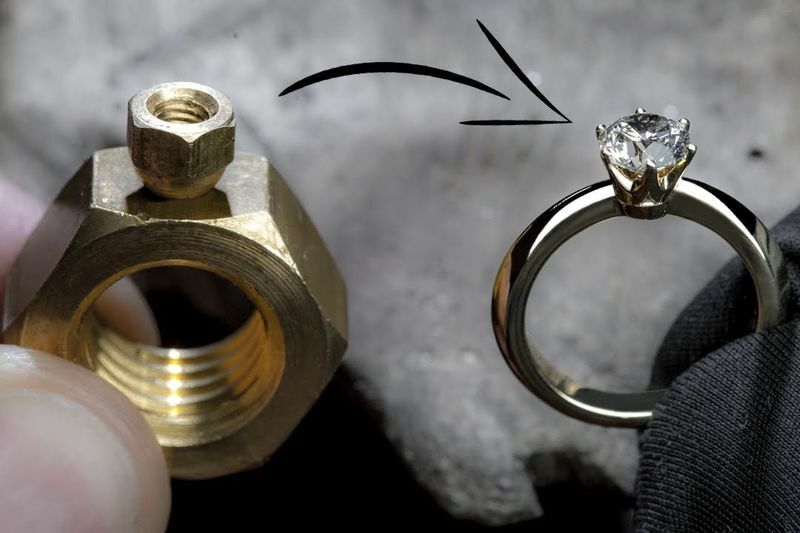 Today, I'm going to turn two brass hex nuts into a 1ct diamond ring. I can craft the same engagement ring design in 18K white gold or platinum." See the video below for the whole cinematic and fascinating journey Pablo takes us on.